Handy Backup can automate Box backup and restore, allowing users performing Box.com backup through a dedicated feature for the Box.com. Why You Need to Back up Box? You may want to transfer your data to another Box account or even to another cloud service. You may wish to have a copy of your Box cloud content in some other place. A viable reason for backup is mere a protection of your account data from malfunction. You can just copy all content from your Box manually, although this method is highly unsafe and prone to a risk of a human error. 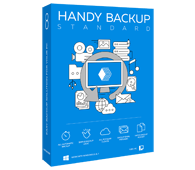 Therefore, we are recommending you using Handy Backup, allowing automating Box.com backup and restore through a Box option or a WebDAV interface. The Standard edition allows saving your Box data, as well as the content of any other cloud account, providing safety and reliability for your crucial information. Try free for 30 days! Setting up all control options, such as encryption, incremental backup or “stealthy” running. Open Handy Backup and create a new task by selecting a menu item or by clicking a button. Choose the backup task type, and then proceed to the Step 2. Then select the “Box” on the left panel. A new window will appear. 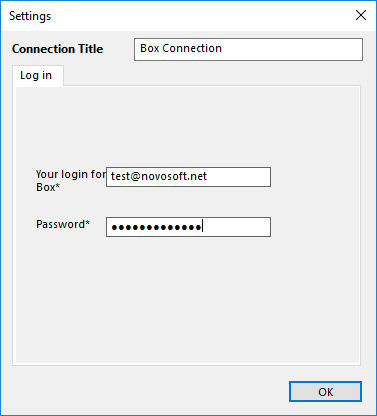 Choose the “New configuration…” to open a dialog for setting an access to your Box account. Enter your Box.com account email and password into the appropriate fields. Press “OK”. You will see the account name you entered in the Box plugin window. Click twice on it. Select data you need to back up from your Box, by marking checkboxes on these data. Press “OK” to return to the data selection step. Proceed to the Step 3. Now select a storage for your backups, as well as any other backup parameters on next steps. Schedule your task if you need it on the Step 6. 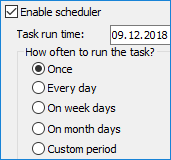 Finally, give your task a name and finish the task wizard. Your task is ready to run! 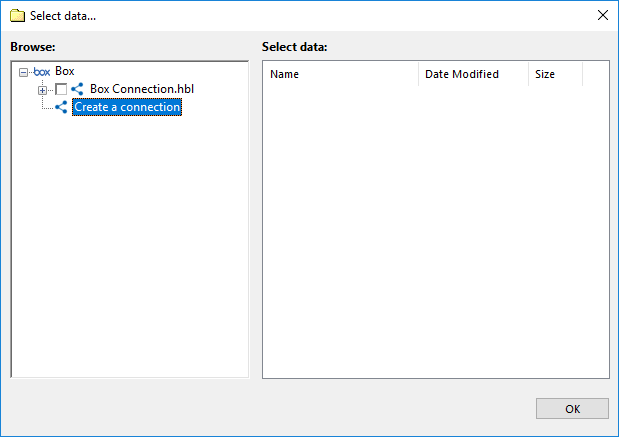 Please download a free 30-days trial version of Handy Backup and backup your Box data in a fully automated mode – just now!